Does your idea solve a problem in a unique way? With IdeaStorm, University of Iowa students can share their business idea in two minutes or less with a panel of judges and an audience. After the presentation finishes, the judges will provide immediate feedback to help improve ideas. 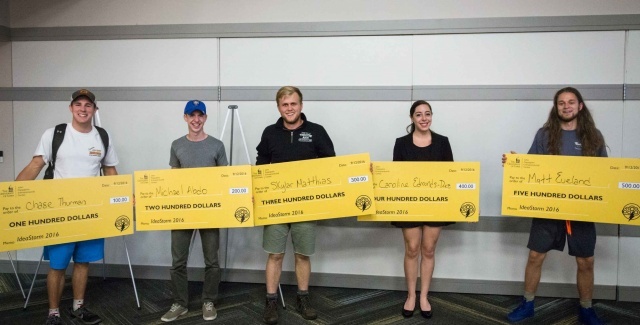 IdeaStorms are entry level pitch competitions across the University of Iowa’s campus that encourage students to share their innovative ideas with others, all while familiarizing themselves with the pitching process. This year IdeaStorm will be taking place over four days with four different themed nights. For additional details and to apply, please visit www.iowajpec.org/competitions/ideastorm!